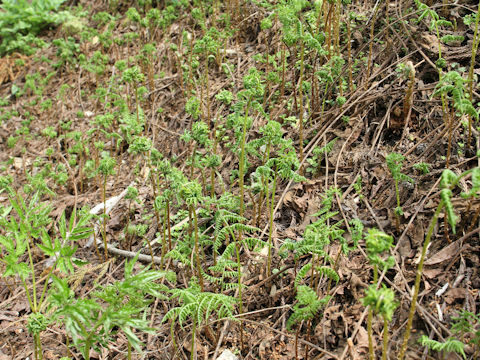 "Kiyotaki-shida" (Diplazium squamigerum) belongs to the Woodsiaceae family. 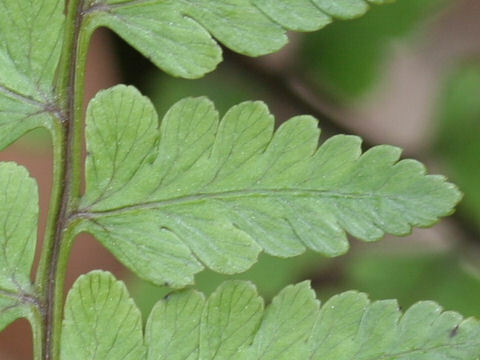 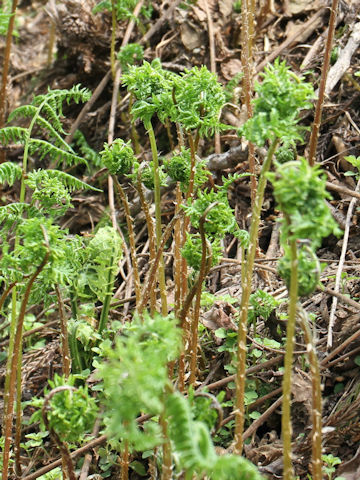 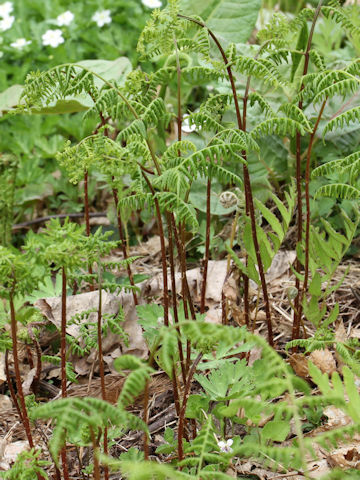 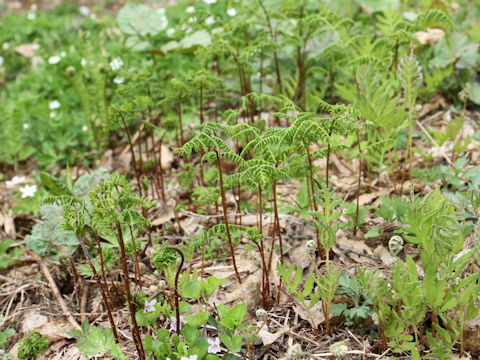 It is a summer-green fern that is distributed in various parts of Japan and East Asia. 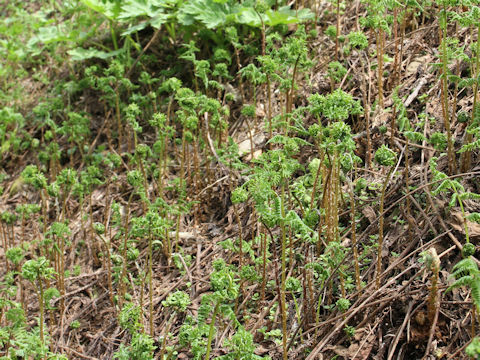 This herb grows in the forests, from in the hills to mountains, and up to a height of 50-90 cm. 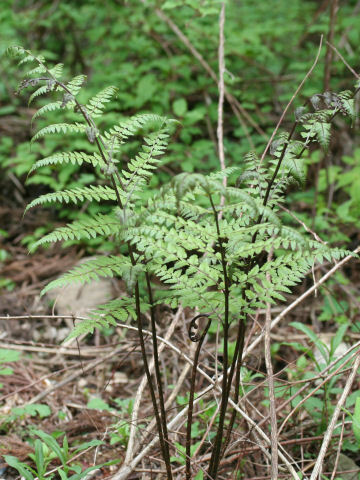 The leaves are bi-pinnate compound with black scales on the long black-brown petioles. 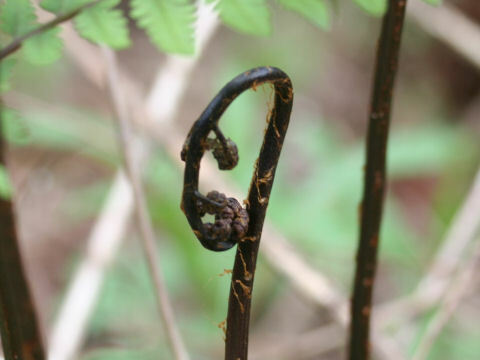 The pinnules are ovate-elliptic, lobed to partite. 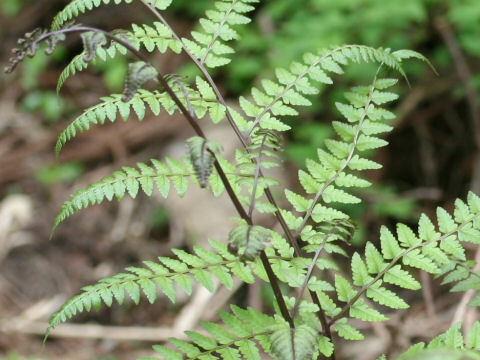 The Japanese name is derived from Kiyotaki in Kyoto-Sagano. 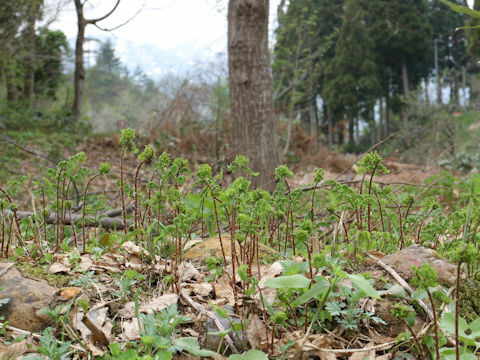 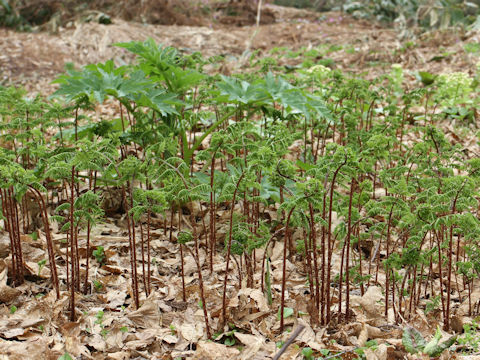 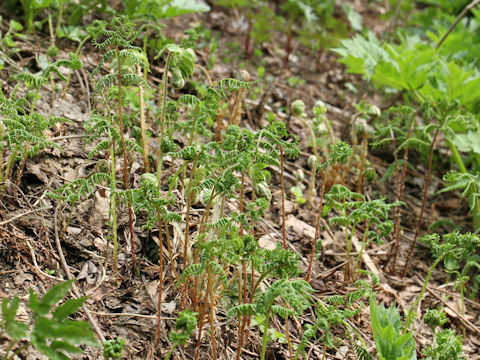 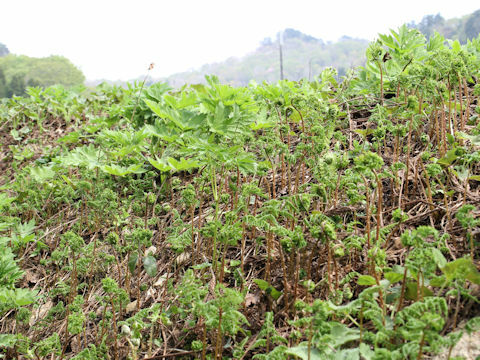 In Tohoku district, young buds are called "Akagami" and are used as wild vegetables.